So Daniel Ricciardo, what do you do now? Your contract with Red Bull comes to an end this year and your team is not only widely understood to be more in love with your team-mate Max Verstappen than it is with you, but it has also just signed an engine deal with Honda. In the light of Honda's never-ending troubles since it made their Formula 1 return in 2015, that - at first glance - perhaps doesn't seem an appealing prospect, compared with potential openings at both Mercedes and Ferrari. But hold on: this is not 2017 when Honda seemed entirely incapable of getting to grips with the challenge of making a hybrid-era F1 power unit. It's easy to criticise McLaren's decision to split with Honda last year in the context of the engine company's recent improvement to apparently Renault-equalling performance this year. But this time in 2017, Honda was just beginning its recovery from a nightmare start to the season. And how it's kicked on. Following upgrades by both manufacturers for their second permitted engine of the year at the Canadian Grand Prix, Honda is now believed to be on a par with Renault. Even before that, Pierre Gasly had managed to finish fourth with a Honda engine in Bahrain. In a Toro Rosso. This is a large part of the reason why Red Bull committed to switch to Honda, in a deal that was announced on the eve of the French Grand Prix, rather than stay with Renault. Team principal Christian Horner explains: "We obviously don't want to go backwards. We want to go forwards, and that's the whole purpose of the change that we have made. We believe it's the best route for us to make the steps required to consistently challenge Mercedes and Ferrari - so this is a very different situation than McLaren found themselves in. "Honda have matured. They have got a good structure in place, they're on a good development path. We're confident with the decision we've made, which wasn't taken lightly, that this is absolutely the right route for the team, for the 2019 and 2020 seasons." In short, Red Bull now believes Honda are a better bet for the short- and medium-term future than Renault, and on a path that could bring it close enough to Mercedes and Ferrari to make the four-time world champion a title contender again. Add in the historical fractiousness of the Renault relationship, and a belief within Red Bull that Honda is at least no worse than the French company in terms of reliability, while showing greater signs of improvement, and it's perhaps no wonder Horner described the decision as "clear-cut". And if Red Bull believes that, Ricciardo's best option might actually be to stay where he is, despite having been at the centre of speculation about possible moves in the driver market. With his contract up, Ricciardo has made no secret of the fact that he has looked around, the target being to secure a car that offers the best chance of helping him win the championship. And so he should: seven years into this career, seven largely brilliant wins under his belt, and just turned 29, he has every reason to believe he is in his prime and more than good enough to win a title. With happy synchronicity, the contracts of Kimi Raikkonen at Ferrari, Carlos Sainz Jr at Renault and Fernando Alonso and Stoffel Vandoorne at McLaren, are all up for renewal this year - and so were the deals of the two Mercedes drivers before last weekend's German Grand Prix. So, in theory, the world (although not the Silver Arrows) is Ricciardo's oyster. The reality, however, is somewhat different. McLaren has expressed an interest, and will need a world-class driver to replace Alonso if he moves full-time to IndyCar next year to pursue victory in the Indianapolis 500 as part of his serious bid to achieve motorsport's 'triple crown'. But McLaren is a team in turmoil, and it accepts that its chances of securing Ricciardo are unlikely. But 'no harm in trying' is their view. Renault is interested and talks have been held, but the two parties are millions apart on what they consider to be an acceptable salary; in any case, the Renault is one second a lap slower than the Red Bull this year. Renault has targeted competing for the title by 2020, but it's one thing saying it; another doing it. One second per lap is a big margin to close, so a switch to Renault would mean a long-term commitment on Ricciardo's part and a lot of faith in the team's ability to turn things around. He did not, however, rule out the idea of such a move earlier this year. 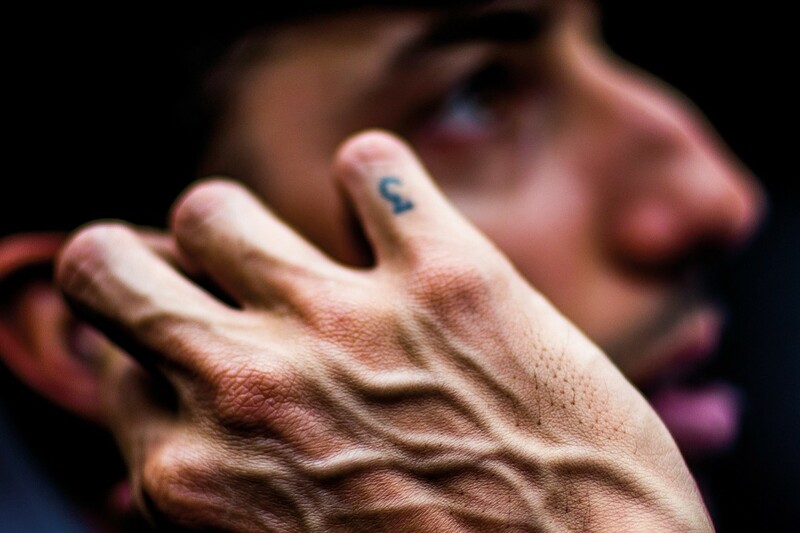 "I'm not going to say: 'No, it doesn't interest me at all,'" he admitted. "Probably more because of what Lewis [Hamilton] was able to do with Mercedes. And I know that, if you're saying those two teams, they're not quite in that position yet - but could they be? Maybe. The thought of that has some appeal. There are a lot of things for me to weigh up right now." 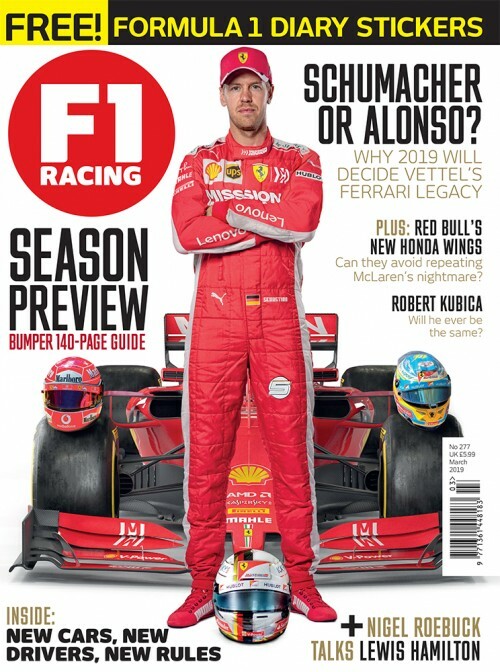 Among those 'things to weigh up' would be any prospect of a move to Ferrari, which has considered Ricciardo, although it doesn't seem overly keen on hiring him. On the Mercedes front, it was not keen on potentially destabilising the team with a new driver arrival, and then opted to invest in Hamilton as its lead driver, even if agreeing the contract to keep him on for another two years took a lot longer than either party initially said it would. But what about Ferrari? Before the Canadian GP, the signals emanating from Maranello suggested Raikkonen was going to get another year. Protege Charles Leclerc, despite his impressive performances, would be given one more year to develop out of the limelight - either staying on at Sauber or moving over to Haas, where he would probably replace Romain Grosjean. But Canada gave Ferrari pause for thought. It was obviously aware that Raikkonen's qualifying average was around 0.3 seconds slower than Vettel's, and that he keeps making mistakes under pressure in the top-10 shootout - as he had in four from eight races up to the French GP. It was Kimi's race pace in Montreal, though, that really got Ferrari thinking. Raikkonen emerged from his pitstop on lap 32 right behind Hamilton's Mercedes, on 16-lap fresher tyres, on a weekend when Hamilton was struggling and Vettel was winning, and when Ferrari really could have done with Raikkonen beating Hamilton to maximise Vettel's points swing. Yet by the end of the race, Kimi was nearly six seconds adrift of the Mercedes, having made not a single attempt to pass. After that, Ferrari's vision of its 2019 driver line-up was said to be split 65-35 between promoting Leclerc or sticking with Raikkonen. Leclerc's stellar weekend at Paul Ricard provided further ammunition. So Ricciardo remains on Ferrari's list, but not at the top of it. 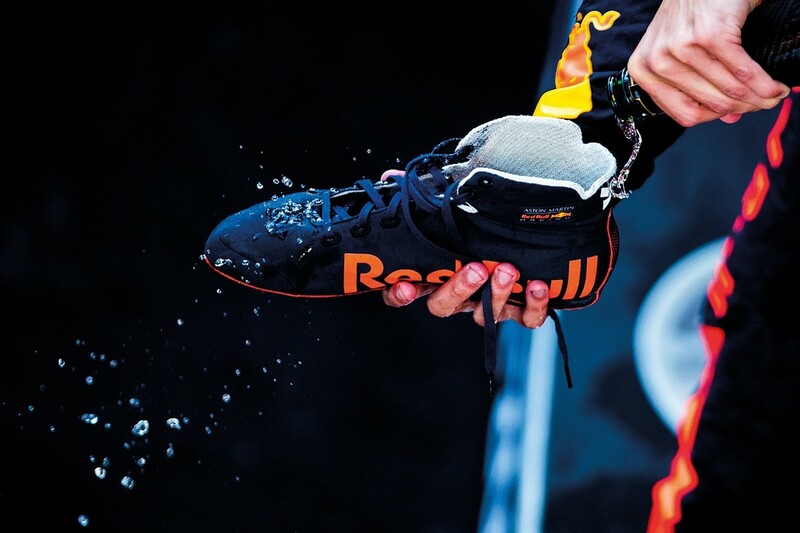 And the team is reluctant to pair him with Vettel because of their time together as team-mates at Red Bull in 2014, when Ricciardo comprehensively outperformed the four-time world champion. In qualifying that year, Dan beat Seb 12-7, and was an average of 0.2s faster. Ricciardo also won three races - two of them thanks to his now-trademark late-on-the-brakes overtaking moves - and Vettel none. 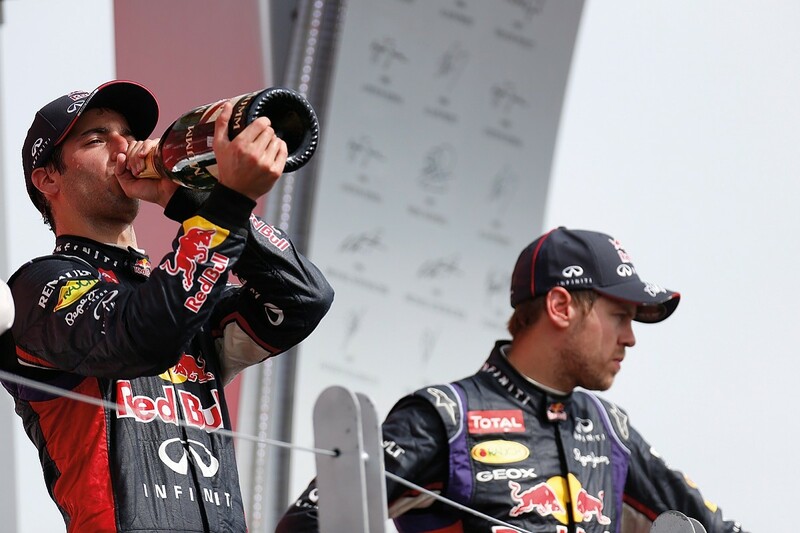 Their respective points tally read: Ricciardo 238, for third in the championship; Vettel 167 for fifth. But it may well be that 2014 paints a somewhat vulgar picture of Vettel. 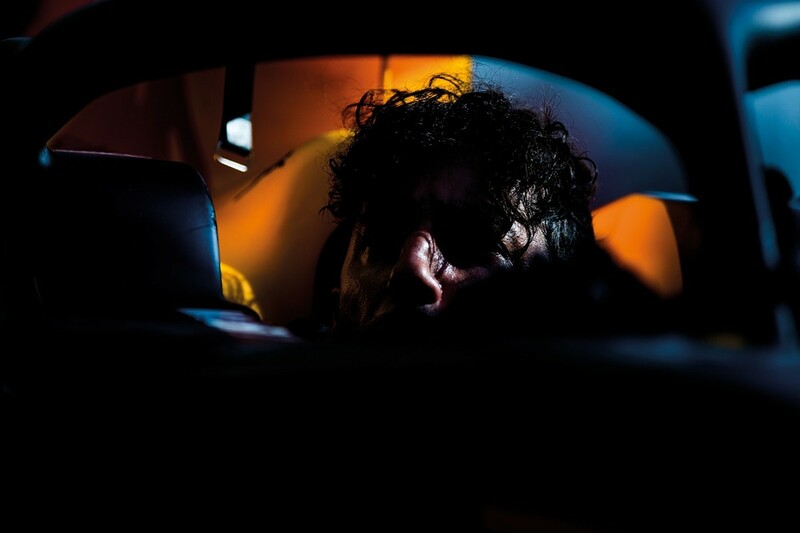 He was competing off the back of four consecutive titles, and perhaps struggled for motivation once it became apparent that his car was not a championship challenger. He didn't like its handling and from early on in the season he knew he was leaving for Ferrari. So perhaps in a different environment, in a car more to his liking, Vettel would match Ricciardo - but would he countenance him as his team-mate again? "We shared one year together," Vettel says, "which wasn't great for me... it was great for him. But anyway, I think we get along so I wouldn't mind if we get together again in the future but I don't know what his plan is. He has a couple of options and I don't think he needs to rush." Behind the scenes, Vettel is said to be pushing hard for Raikkonen, and Ferrari is not keen to potentially destabilise Vettel by signing Ricciardo. That could change in the future, but for now at least it appears to be right place, wrong time for Ricciardo at Maranello. Sergio Marchionne's tragic death has also made potential changes at Ferrari even more uncertain. All of that leaves Ricciardo... stationary? Time is not on his side. The minute Ferrari confirms its line-up for 2019 (with Mercedes now having already done so), his negotiating position with Red Bull will be much weaker. Red Bull insists it wants to keep Ricciardo, but does he want to stay when the perception within F1, rightly or wrongly, is that Verstappen is the team's 'chosen one'? 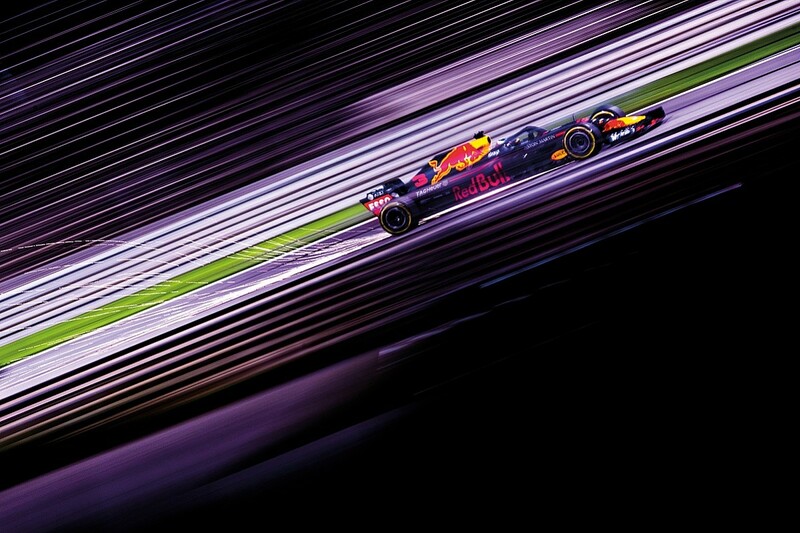 It was Verstappen's contract that Red Bull rushed to extend when it thought he was being pursued by Mercedes - even though Verstappen's deal at the time ran to the end of 2019, a year longer than Ricciardo's. There is another perception about the Red Bull drivers, too. It was vocalised not long ago by Hamilton, who said: "They are both great drivers. One is more consistent than the other, one is faster. I'm not going to say who is who, but you can probably guess." But F1 perceptions are not always backed up by reality. The true comparison is far less clear-cut. It's certainly true that Ricciardo is more consistent than Verstappen; he has outscored Max every year since they became team-mates at the Spanish Grand Prix in 2016, and is doing so again this year (although he is only one point in front after retiring from the German GP). But a dig into the statistics makes it hard to sustain an argument that he is significantly slower. The perception of last year is that Verstappen soundly beat Ricciardo, having outqualified him 13-7, and won two races to Ricciardo's one. However, one of Verstappen's wins came from a race where Ricciardo had no chance to compete due to engine penalties. 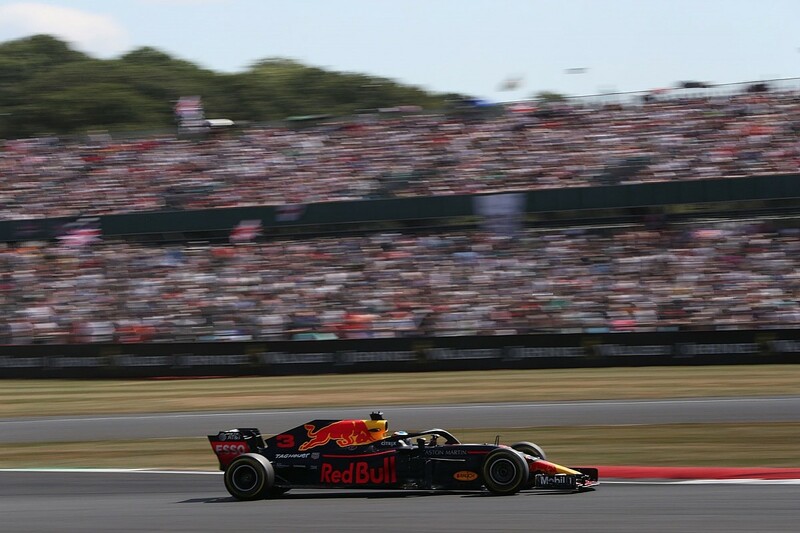 In the races, Ricciardo took eight further podiums beyond his win; Verstappen two. This year, the tussle between them continues to be close: after the German GP, Verstappen is ahead 8-3 in qualifying, but again the performance margin over the 10 races (not counting Ricciard's qualifying power unit penalty and race retirement-hindered weekend in Hockenheim) is tiny: just 0.044s. And that's also not including Monaco, where Verstappen did not set a qualifying time following his crash in final practice and Ricciardo was quicker in every practice session. 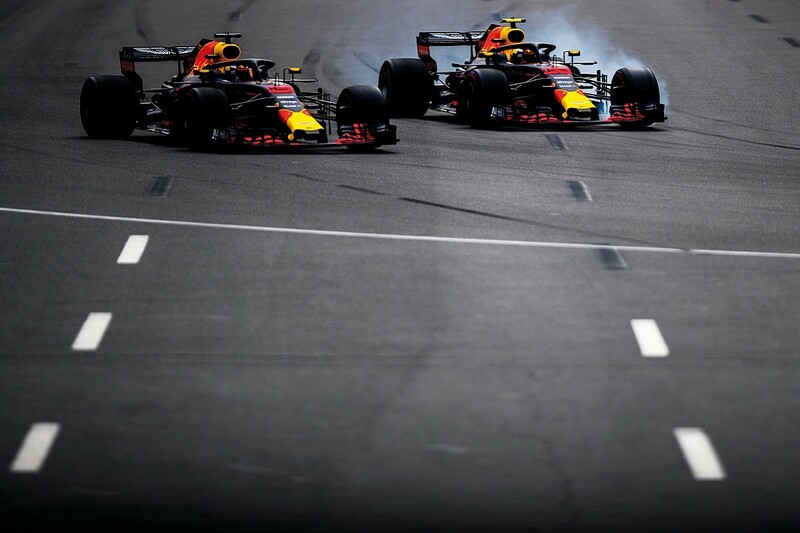 Until Verstappen can iron out errors like his Monaco shunt, Ricciardo can probably be confident of beating him over a season - and who is to say he could not do so anyway, even if Verstappen becomes more consistent? Then there is the car. The Honda engine might not be a match for the Mercedes, but insiders say it is now only 30bhp off, and presumably with more room for improvement, being at an earlier stage of development. If Honda can close the gap to 20bhp next year, the power deficit would equate to a lap-time loss of around 0.3s each tour. Can Red Bull make that up with its chassis? Not easy, but it does have a magic ingredient: chief technical officer Adrian Newey. It's a brave man who turns down the chance to drive a Newey car. Alonso did when he left McLaren at the end of 2007 and some at Red Bull believe that, had he joined then, Alonso would be a seven-time champion. He would have won the titles Vettel did from 2010-13, as well as the 2009 championship, when Vettel lost out to Jenson Button but made mistakes Alonso would not have. The quality of Red Bull's 2018 car is clear. 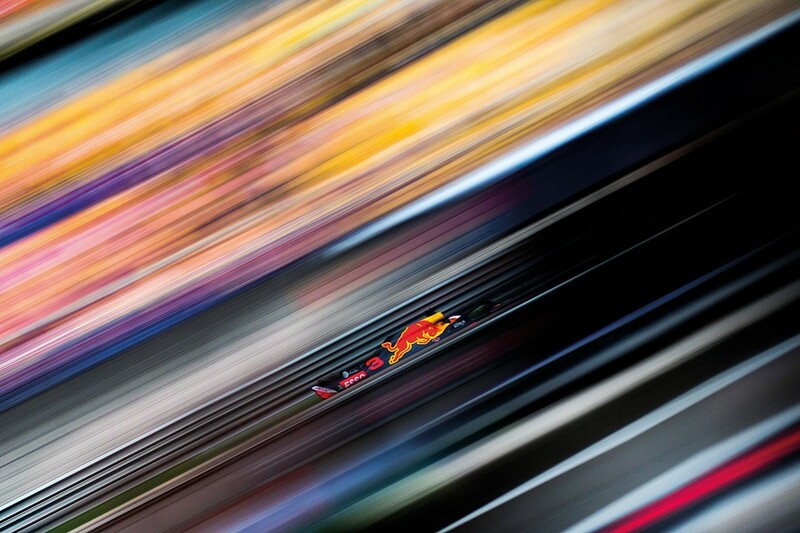 Ricciardo has two wins: one from pole in Monaco, despite an MGU-K failure, and an inspirational one in China. Verstappen qualified third in power-hungry Canada and won in Austria. Ricciardo, at the time of writing, is fifth in the standings; Verstappen sixth. With more power, and another Newey chassis, it's not a big stretch to think Ricciardo could win the title in a Red Bull-Honda in the next two years.